From #1 New York Times bestselling author Danielle Steel, a moving novel of families separated and lives shattered by prejudice during one of the most shameful episodes in American history. A man ahead of his time, Japanese college professor Masao Takashimaya of Kyoto had a passion for modern ideas that was as strong as his wife's belief in ancient traditions. His eighteen-year-old daughter, Hiro… ko, torn between her mother's traditions and her father's wishes, boarded the SS Nagoya Maru to come to California for an education and to make her father proud. It was August 1941. From the ship, she went to the Palo Alto home of her uncle, Takeo, and his family. To Hiroko, California was a different world. Her cousins had become more American than Japanese. And much to Hiroko's surprise, Peter Jenkins, her uncle's assistant at Stanford, became an unexpected link between her old world and her new. On December 7, Pearl Harbor is bombed by the Japanese. Within hours, war is declared and suddenly Hiroko has become an enemy in a foreign land. On February 19, Executive Order 9066 is signed by President Roosevelt, giving the military the power to remove the Japanese from their communities at will. Takeo and his family are given ten days to sell their home, give up their jobs, and report to a relocation center, along with thousands of other Japanese and Japanese Americans, to face their destinies there. Families are divided, people are forced to abandon their homes, their businesses, their freedom, and their lives. Danielle Steel portrays not only the human cost of that terrible time in history, but also the remarkable courage of a people whose honor and dignity transcended the chaos that surrounded them. 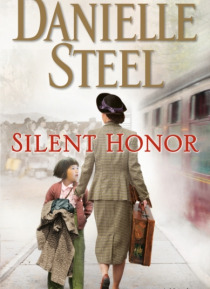 Silent Honor reveals the stark truth about the betrayal of Americans by their own government . . . and the triumph of a woman caught between cultures and determined to survive.